The WatchGuard Trade Up Program allows you to replace your aging products with the best WatchGuard has to offer, keeping you a step ahead of the evolving threats that endanger your business. Highest UTM performance in the industry: Run all security capabilities without slowing down the flow of your network. Easy to Manage: With logging and reporting included at no additional cost. Best-in-class security: WatchGuard is number one in firewall technology. Each of our security services is powered by a mature security technology partner who has focused on being the best at what they do. You can’t get better protection for your network. Please Note: Trade Up Deals are only available to existing WatchGuard customers with an old WatchGuard unit to trade up against. If you are uncertain if you qualify for the Trade Up Program please contact us prior to purchase. Trade up your old WatchGuard Firewall for a Firebox M4600 with 3-yr Security Suite including WebBlocker, Application Control, spamBlocker, Gateway AntiVirus, IPS and Reputation Enabled Defence. Trade up your old WatchGuard Firewall for a Firebox M4600 with 3-yr Security Suite including WebBlocker, Application Control, spamBlocker, Gateway AntiVirus, IPS, Reputation Enabled Defence, Network Discovery, Data Loss Prevention (DLP), Dimension Command, APT Blocker, DNSWatch, Threat Detection and Response, and Gold Support. Trade up your old WatchGuard Firewall for a Firebox M4600 with 1-yr Security Suite including WebBlocker, Application Control, spamBlocker, Gateway AntiVirus, IPS and Reputation Enabled Defence. 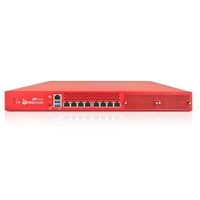 Trade up your old WatchGuard Firewall for a Firebox M4600 with 1-yr Security Suite including WebBlocker, Application Control, spamBlocker, Gateway AntiVirus, IPS, Reputation Enabled Defence, Network Discovery, Data Loss Prevention (DLP), Dimension Command, APT Blocker, DNSWatch, Threat Detection and Response, and Gold Support.